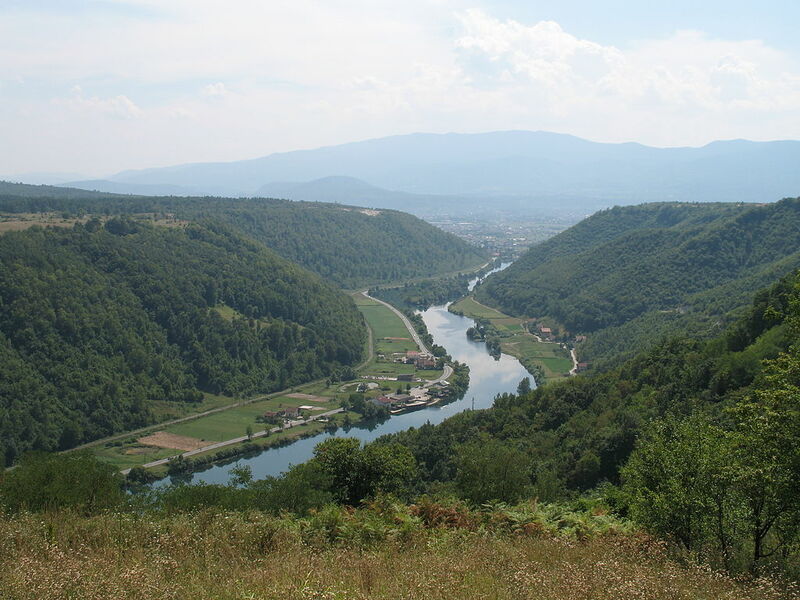 The Una is a 212 km long river that winds its way across Bosnia and Herzegovina, forming at times, a natural boundary between that country and Croatia. 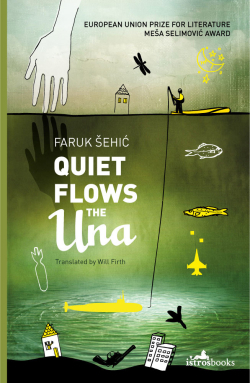 Bosnian writer Faruk Šehić’s EU Prize winning novel, Quiet Flows the Una, allows the passage of this river – gentle and violent as the seasons turn – to carry the narrative of his burdened protagonist as he seeks to heal his troubled past. Although the term is frequently evoked, rightly or wrongly, this is a novel that can truly be called hypnotic in the absolute sense of the term. The narrator has surrendered to the direction and influence of a fakir during a sideshow hypnosis session, allowing his thoughts, reflections and memories to be pulled to the surface and recounted under the hypnotist’s guidance. Our Bosnian protagonist, Mustafa Husar, is a haunted man, his wounds run deep – the war and his role in it have sundered the continuity of his existence. To bridge the rift between the leisurely days of his youth and his new life amid the shattered remnants of a world where he is trying to find his adult footing, he knows that he must uncover and bring to light the dark memories that rest uneasily beneath the scars that mark his face and body. By revisiting the bleak, brutal years of the Balkan wars – facing the crimes he witnessed and those he perpetrated – he hopes to find some measure of redemption. Faruk Šehić was born in Bihac in 1970, and grew up in Bosanska Krupa, a town straddling the Una in what was, at the time, still part of the Socialist Federal Republic of Yugoslavia. He was studying veterinary medicine in Zagreb when war broke out in 1992. He voluntarily joined the army of Bosnia and Herzegovina in which he led a unit of 130 men. After the war, he turned his attention to the study of literature, publishing his first collection of poems in 2000. He has frequently drawn on his wartime experiences to inform his poetry and short fiction. Šehić lives and works in Sarajevo. His debut novel, Quiet Flows the Una (Knjiga o Uni), originally released in 2011, is now available from Istros Books in a crisp, lyrical translation by Will Firth. An official launch featuring a discussion with the author will be held at the Headquarters of the European Bank for Reconstruction and Development in London, UK on March 31, 2016. “That’s why I began to believe in words. They cannot be destroyed. If you erase them, they come back. Words float in front of your eyes and won’t retreat from the front line. If you set fire to them, they will burn with even greater ardour in your memory, and no memory-wipers like alcohol or narcotics will get rid of them. Words are above destruction. If you erase them, they’re right back on the tip of your tongue again.” — Another book to look for. Thank you for such a compelling review. I have been a champion of Istros Books for years – sadly a publisher too small for standard print distribution in N. America but there are options for ordering. It would be great to see their books here in Canada! The small publishers often find the truly interesting books to publish. As someone just about to embark on a very small imprint with a friend in Europe (we are grandly putting Vancouver/Amsterdam on our title pages), I know that at a certain point, if you want these books to find their way in the world, you have to take a step that is both scary and expensive, but also exciting — as steps into the unknown often are! Great news! Would love to see Istros on a bookstore shelf here someday. This sounds like another fascinating study of the legacy of the conflict in former Yugoslavia. Presumably the title is a deliberate echo of And Quiet Flows the Don? Not sure about the title, the original I believe directly translates to Under the Una. It is quite wonderful – for the writers who came of age or into early adulthood during the war, their literature is dynamic, immediate, and as Istros’ catalogue shows, diverse. The original title translates as “(The) Book About the Una”, which I think sounds rather awkward. Echoing Sholokhov was an idea I came up with while brainstorming for an alternative. It was my favourite solution, and the publisher liked it too, so we stuck with it. I think it suits the book very well. Thank you for the clarification, I was going from (faulty) memory having noted the title on the EU Prize write up about Šehić. It is definitely an effective choice and a very fine translation as well. Thank you for the clarification! Thanks for the link to your reviews. I have Globetrotter, intrigued by the Banff connection and the fact that the author emigrated to Calgary. This book here is published by Istros Books, a wonderful small press that focuses on Balkan and central European literature. I’ve long championed them and have met the publisher. They are merging with Peter Owen which will give them better availability here in North America but their books are always worth a look.